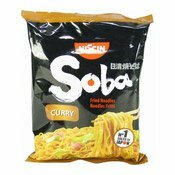 Ingredients: Noodles (82.7%): Wheat Flour, Palm Oil, Salt, Flour Treatment Agents (E500, E451),Stabiliser (E501), Thickener (E412) Antioxidant (E306). 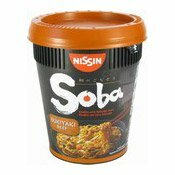 Seasoning Sauce (16.5%): Sugar, Water, Rapeseed Oil, Salt, Flavour Enhancers (E621, E635), Vinegar, Soy Sauce (Water, Soybean, Salt, Wheat), Molasses, Colour (E150c), Spice, Vinegar, Hydrolysed Vegetable Protein, Tomato Powder, Acidity Regulator (Citric Acid), Curry (3.5% In Seasoning Sauce), Flavouring, Green Onion. 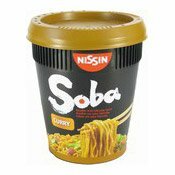 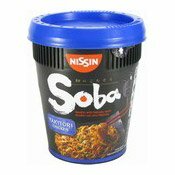 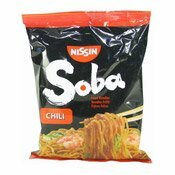 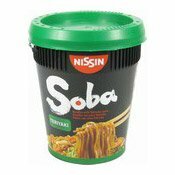 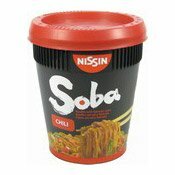 Simply enter your details below and we will send you an e-mail when “Nissin Noodles With Yakisoba Sauce (Curry) (日清日式咖喱炒麵)” is back in stock!